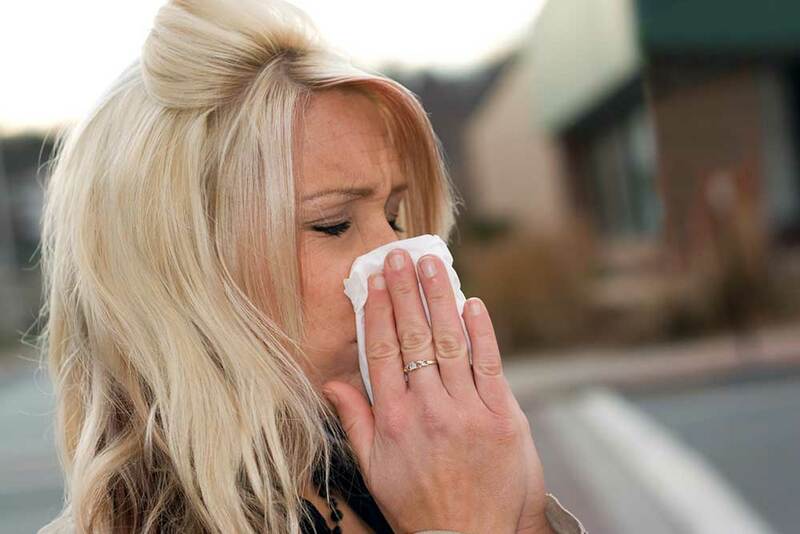 For those who suffer from seasonal allergies, the fall season can be a rough time. It is estimated that 50 million Americans are plagued by seasonal allergies, which means there are a lot of people out there who are seeking relief. Allergies are no laughing matter, and sufferers often find comfort from their misery. Luckily, allergies are treatable when handled correctly, but sufferers can often make mistakes along the way. These errors can make allergy symptoms worse, but it doesn’t have to be this way. To help you gain relief from allergies and its irritating symptoms, read on to learn which allergy mistakes you need to stop doing. Don’t wait for your allergies to become severe to take medication. Instead, avoid one of the biggest allergy mistakes by taking your allergy medications one to two weeks before allergy season starts. By being proactive, you can nip these annoying symptoms in the bud and can help reduce the severity of symptoms. Also, don’t skip taking short-acting allergy medications at night. Taking allergy medications at night will help prevent you from waking up to allergy symptoms in the morning. Unless, of course, you are taking a 24-hour medication, then you only need to take it once a day. While it’s tempting to open up the windows, it’s not a good idea for allergy sufferers. The Wind is not your friend in this case, and it can carry pollen and other allergens into your home if you leave the window open. Instead, keep windows closed and use an air conditioner or a fan to help circulate the air. Also, it would be wise to invest in a HEPA filter to help filter out allergens, keeping your air clean. It’s not uncommon for people to keep their clothes and shoes on when they re-enter their house. However, your hair, clothes, and shoes can bring the outside, inside. Allergens can attach themselves to you and your clothes and will follow you inside. Once you come inside from spending time outdoors, take off your shoes and change your clothes if possible. Also, before you go to bed, make sure to take a shower so you can wash the allergens off of your body. You don’t want your pillow to become a pollen cloud! With the technology available today, checking the day’s pollen count is easier than ever. Even though many individuals don’t do this on a regular basis, it is highly recommended if you suffer from allergies. You can find this information online, and many weather apps are equipped with this information. Knowing the day’s pollen counts can help you plan your day, or it might even give you the incentive to stay indoors. It’s not uncommon for an adult to have a hard beverage with dinner. While having a glass of wine with dinner is believed to be healthy in moderation, if you are suffering from allergies, you should avoid alcohol. Alcohol increases the blood flow to the lining of your nose, which can increase your allergy symptoms. So, if you are suffering from allergy symptoms skip the alcohol at night, and have some tea instead!